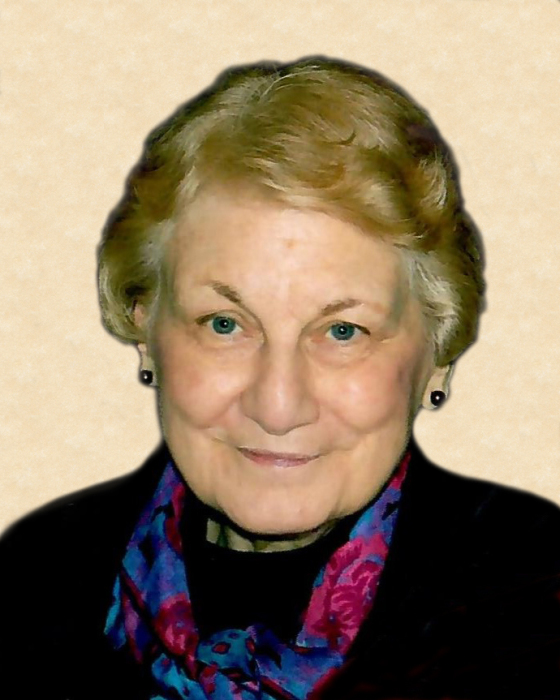 Jacqueline “Jackie” E. (Beauchemin) Dalpe, 84, formerly of North Smithfield, passed away peacefully on August 26, 2018 in The Holiday Retirement Home in Lincoln. She was the wife of the late Robert B. Dalpe who passed in 2002. Born in Woonsocket, she was the daughter of the late Wilfrid and Yvonne (Dubois) Beauchemin. She was an active member of the former Our lady Queen of Martyrs parish singing in the parish choir, a member of the liturgical committee, and as a Eucharistic Minister. Jacqueline was also a member of the former KBG club and Smokey Squares square-dance group. She is survived by two sons, John Dalpe and his wife Lucianne of Woonsocket; Peter Dalpe and his wife Susana of Fort Mill, SC; a daughter, Celeste Chudy and her husband Kevin of Cumberland; daughter-in-law, Rhonda Dalpe of Woonsocket and a brother, Bernard Beauchemin and his wife Charlotte of Woonsocket. She also leaves behind 8 grandchildren, Mathew, Nicole, Ian, Kaitlyn, Brittany, Robert, Sara, and Eric and 3 great grandchildren, Austin, Miles, and Paxton whom she loved very much. Besides her husband Robert, she was preceded in death by her son Marc Dalpe.